7-9′ slender, upright shrub. It has a red stem and white drupe fruit in mid-August. 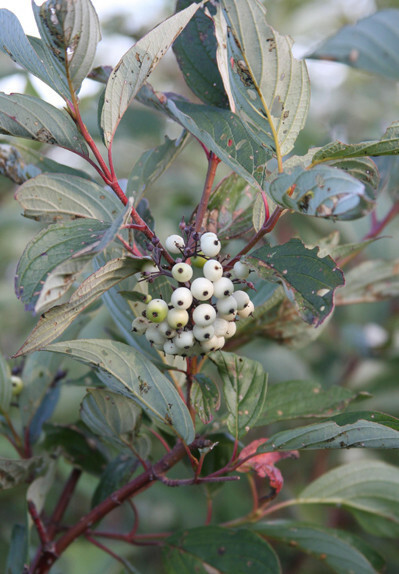 Redoiser Dogwood is best in wet or swampy conditions. It is also a great structure for holding soil on slopped areas.